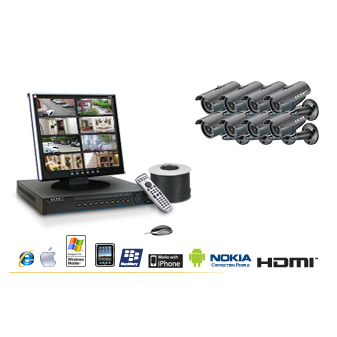 This 8 camera surveillance kit with DVR is packed with features including remote viewing via your smart phone or tablet! 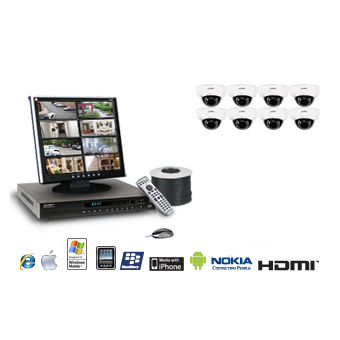 This 8 camera surveillance kit with DVR is packed with features including remote viewing via your smart phone or tablet! 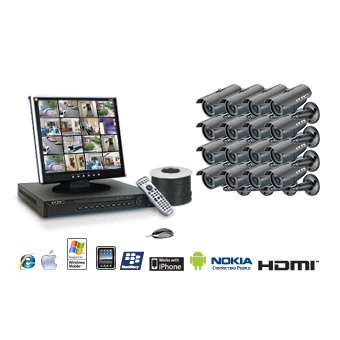 Three recording modes for any situation: continuous, motion activated and time scheduled. 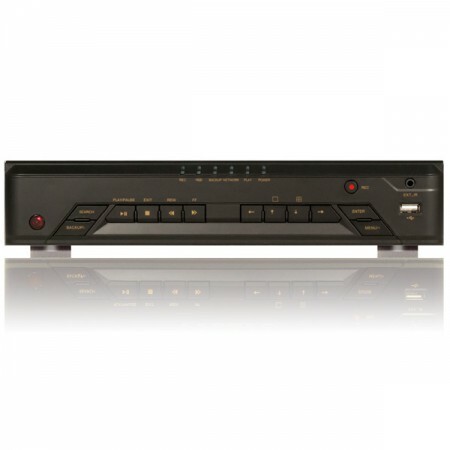 You can also select the recording quality in order to conserve DVR space: normal, fine and best! 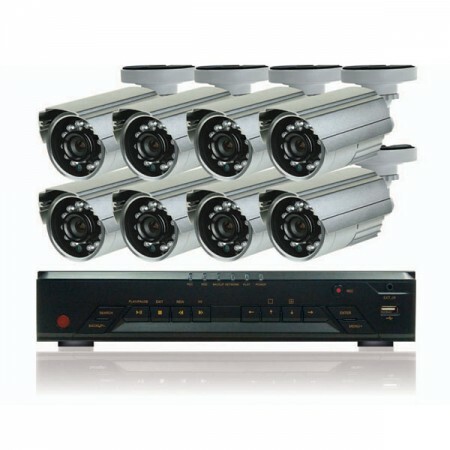 The IR cameras provide high-quality images even in low-light situations. Package Includes: 8-channel DVR, 8 IR cameras, manual, software, 60 feet of camera cable, power supply for cameras and DVR, remote control, mouse and 8-way splitter cable.